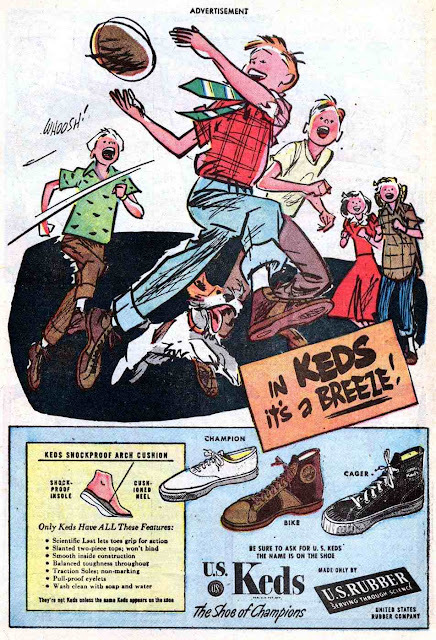 A couple of wonderfully-drawn cartoon illustrations in these ads for Keds sneakers! 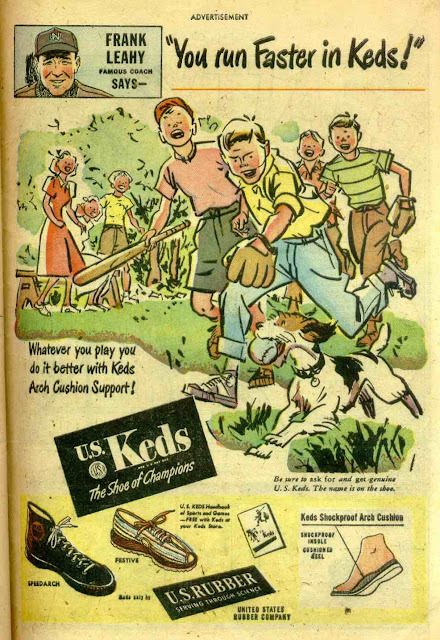 ‎"In KEDS it's a Breeze!" 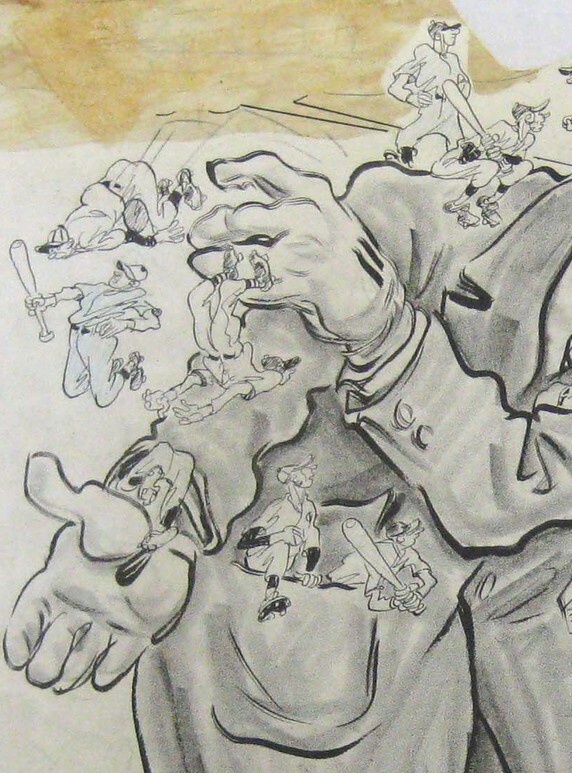 An amazing piece of original art spotted on eBay. 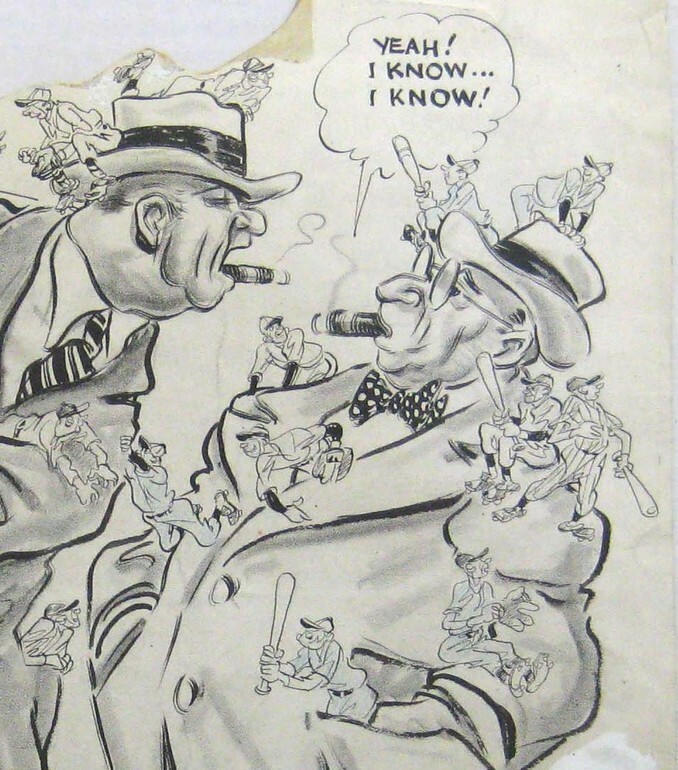 Original art by Willard Mullin -- the greatest sports cartooonist in the history of journalism. 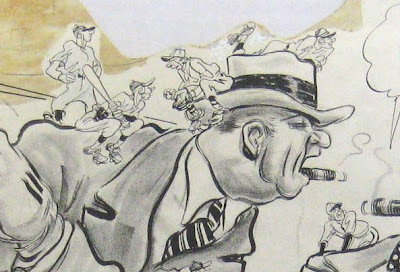 This piece appeared in The Sporting News and was originally titled "Happy Hangover." 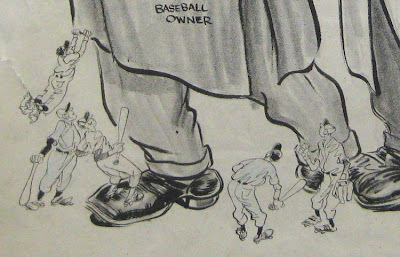 Starting off with a detail shot to appreciate the scope...Willard Mullin beautifully creates a Lilliputean scene of big-time baseball owners brushing a bunch of players off their coats like so many annoying fleas. Here's the "big picture" in all its glory...a breathtaking symphony of gestural cartoon art. 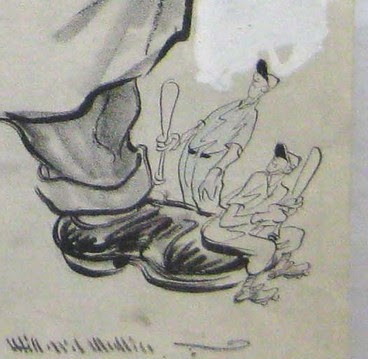 ...and there's a lot more Willard Mullin artwork to enjoy, both here at CartoonSnap, as well as other great blogs. Check 'em out! "Gangsters, Gunsels, Crooks, Cops and Hitler"
"Willard Mullin Draws the Brooklyn Bum"
More Mullin illustrations from "Clowning through Baseball"